For the first timer, the question is what should I see? The answer is well, what is your interest? EAA AirVenture pretty much had it all this year. I was often asked what was my favorite, and that was a hard question to answer. There were so many highlights; The awesome F-4 Phantoms flew, the HUGE Martin Mars JRM-3 floated, flew and splashed show goers. 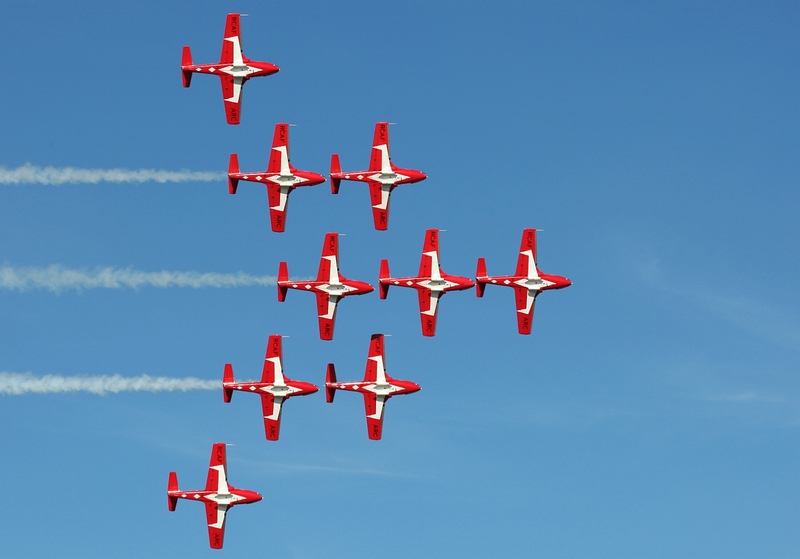 There was a U-2 fly over in gray skies, the Snowbirds and their amazing smooth, precise show. 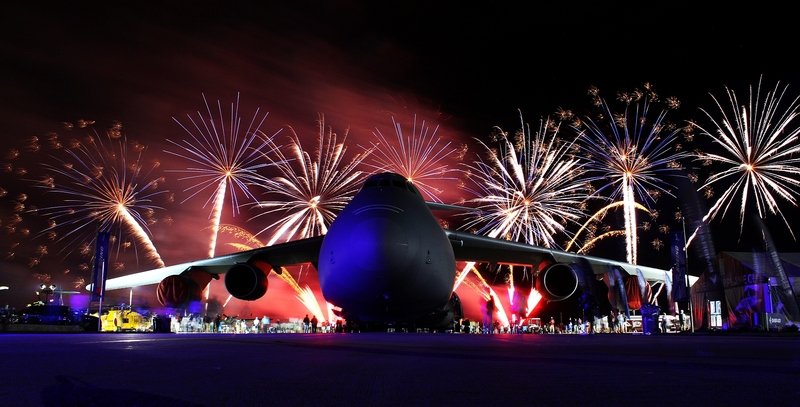 Evening airshows followed by great pyrotechnics and a wall of fire. 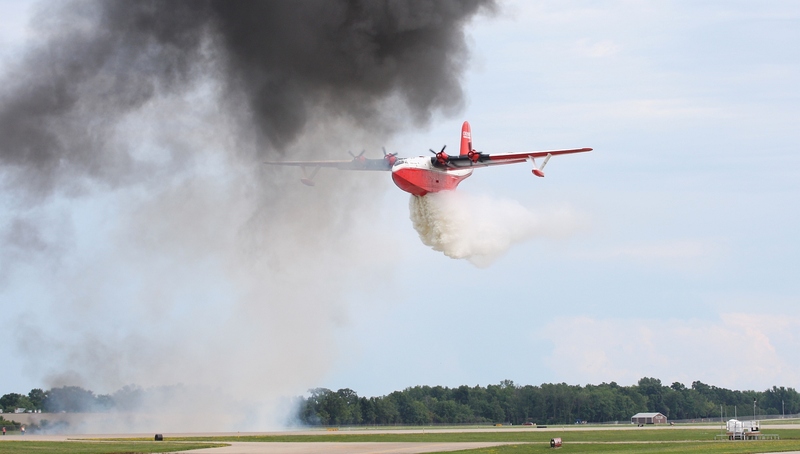 When you come to Oshkosh be prepared for a few things; you will walk, you will get hot, you will get sunburnt, you will meet people from all over the world, you will see just about everything and anything that will fly. There are great volunteers and down-to-earth participants and everyone had a smile on their face. 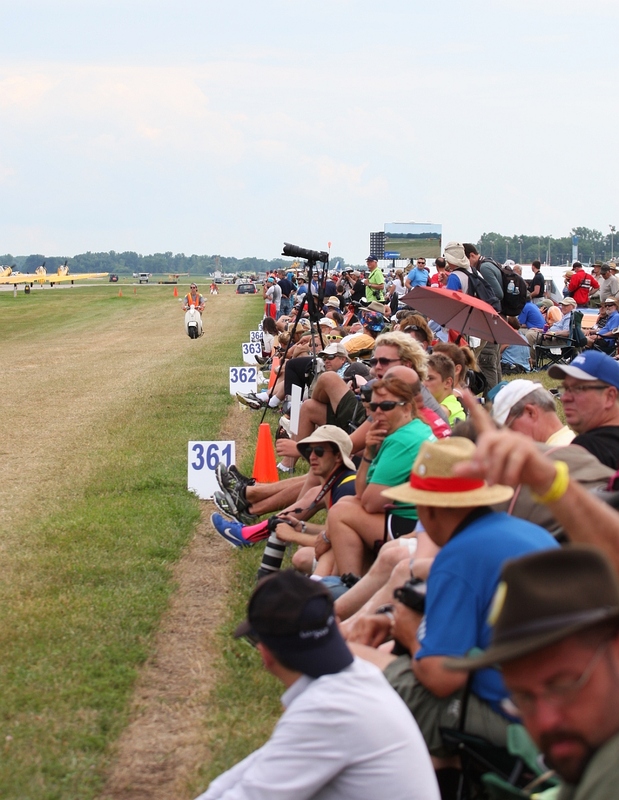 This was my sixth AirVenture and my first writing for Aviation Photography Digest. I made a short list of what I wanted to see each day and was on the grounds by 0730 each day. At the close of the week, I had an amazing week and even though I covered my daily highlights, I certainly did not see all of the grounds or airplanes! Totals for the week were 563,000 visitors, 10,000 aircraft flew in, 2855 show planes. My pedometer was over 90,000 steps for 6 days and my computer hard drive was bloated with 6000+ new images. My flight from Minnesota to Oshkosh, WI was smooth, calm and we had a 10 knot tailwind. Soon we were lined up for a Fisk arrival, “Tan low wing, Rock your Wings” greeted us and soon we were lined up for an arrival on the purple dot. My pilot put us down right on the dot and soon we cleared the runway. 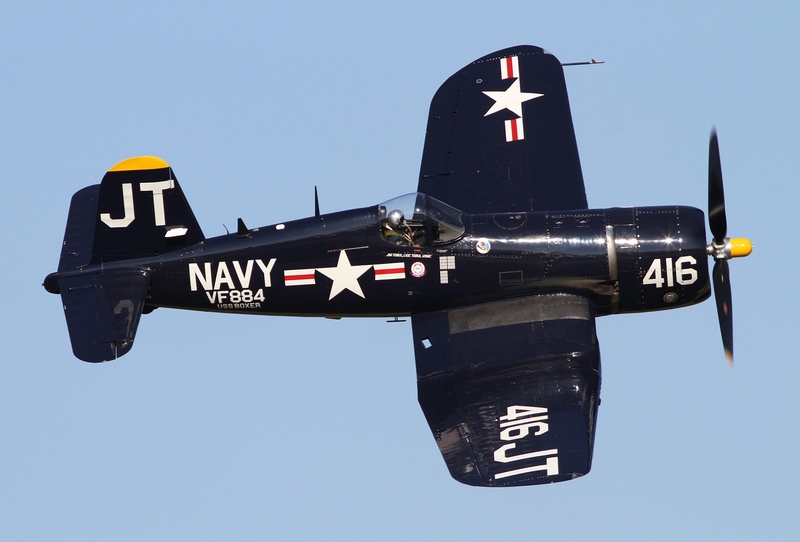 After tying down the aircraft I set off to grab a bite to eat and get the schedule for the airshow. Sunny skies and hot weather were the order of the day so I loaded up on water and found a great spot at the “burn line”. No fences here at Oshkosh, just a line of dead grass and friendly volunteers on scooters to keep you and your belongings behind the line. The show started at 2:30 and was scheduled to end around 5:30pm. With a runway alignment of 18-36 the light just kept getting better all afternoon. 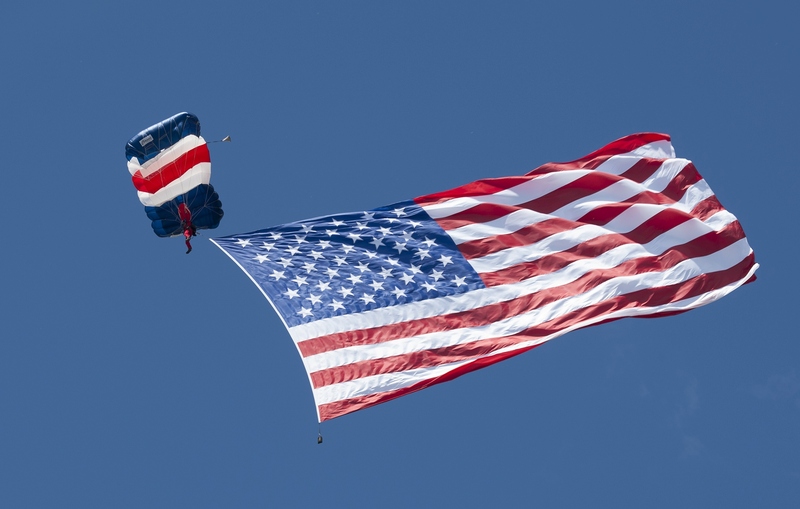 Skydivers brought the American flag and our national anthem started what would be an amazing week. 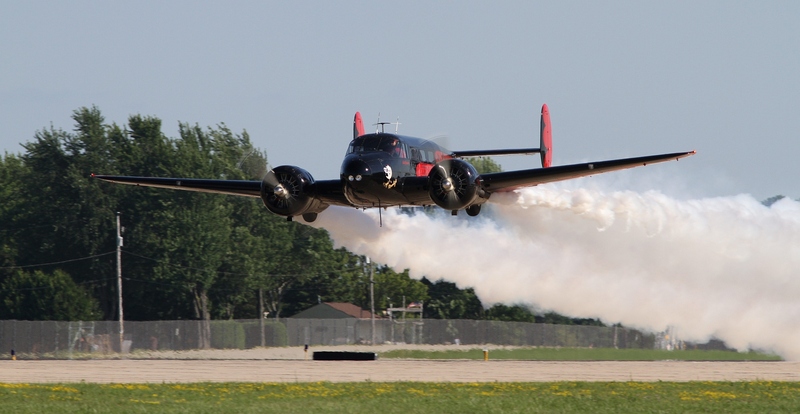 The highlights from the day’s airshow were; Team Aeroshell, Bücker 133D-1 Jungmeister, Kyle Franklin/Dracula and Coulson Flying Tankers bringing their HUGE Martin Mars JRM-3. After a fly-by to get runway alignment we were treated to a 7200-gallon water drop! 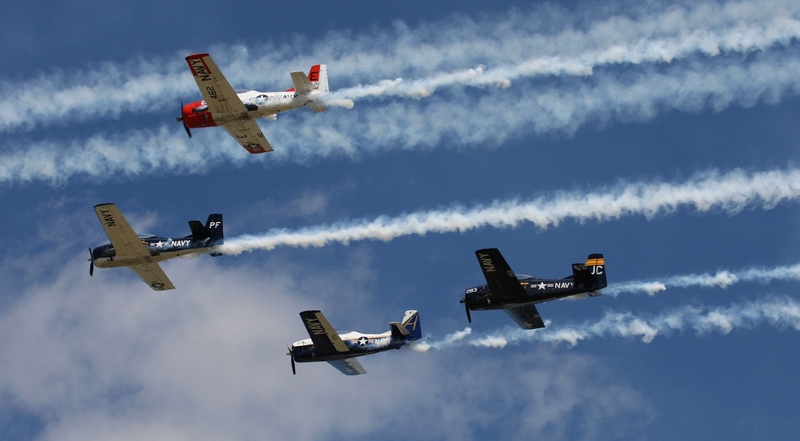 The airshow ended and the air was alive with arrival and departures. 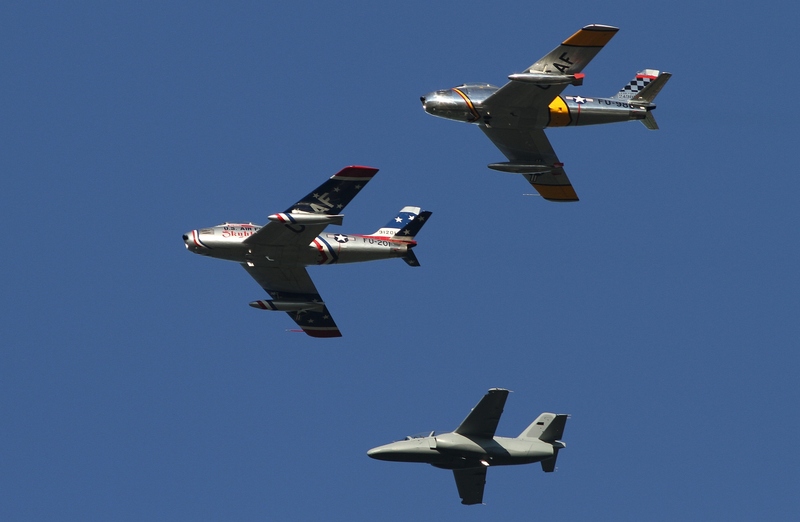 Some of the jet warbirds returned and we got to see two F-86 Sabres! My sources had told me to stay put after the airshow and they were right, a few minutes after 6pm I spotted fighter jets on the horizon. 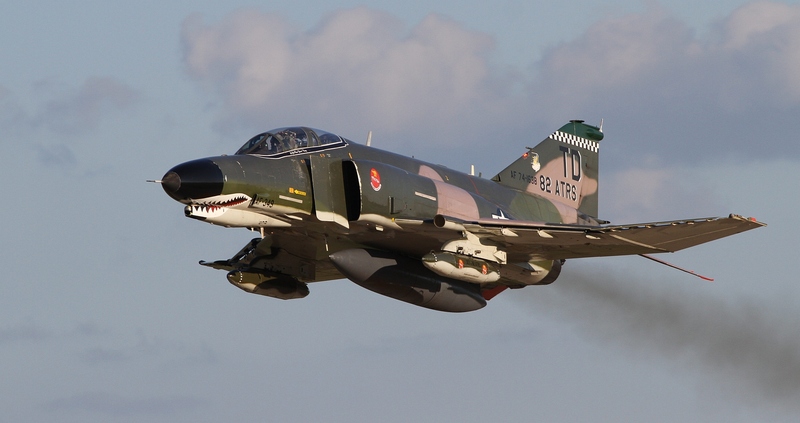 Quickly cramming some earplugs into my ears and I was treated to some excellent afterburner passes from two of the US Air Force’s F-4 Phantoms. My first day at EAA AirVenture 2016 was fabulous! I was concerned that the rest of the week was going to be a let down. As I walked the airfield, I got to the warbirds area. The warm evening sun glistened of these immaculate machines I knew it was going to be a great week. The weather forecast was for a hot and humid day. 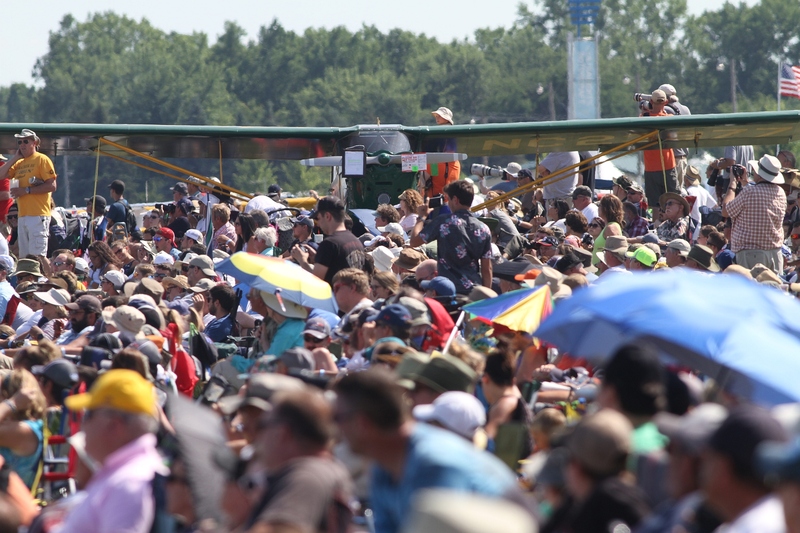 There are only a few places at Oshkosh with shade, however none of them offer a good vantage point of the daily airshow. 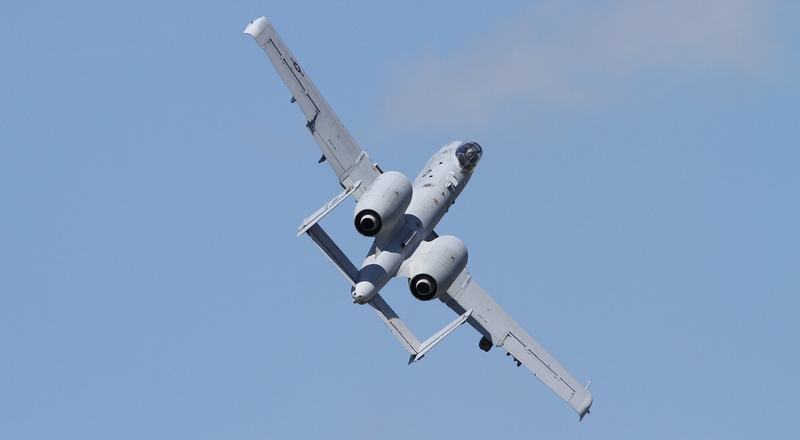 Today’s highlight for me would be the A-10 Warthog. 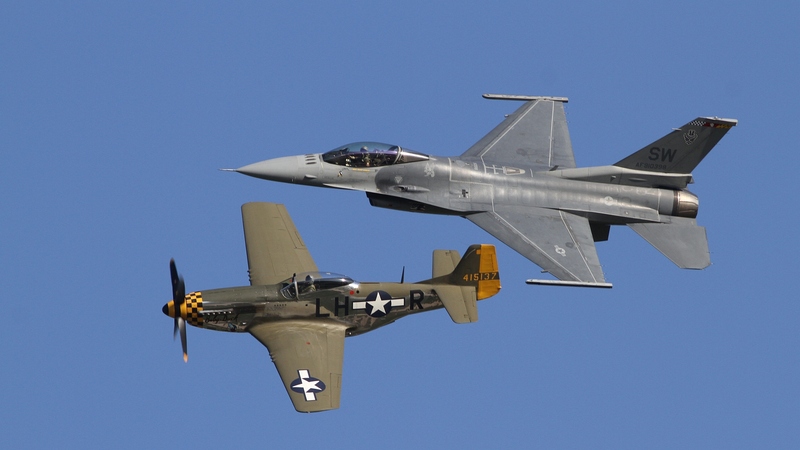 There was good participation from the military at this year’s AirVenture and I was going to capture it. I spent the morning wandering the grounds checking out the going ons, chatting with old friends and making new friends. There was a lot of activity in Boeing Plaza at show center. That could be only one thing, someone was coming in. A quick scan of my notes did not offer a clue, but of in the distance I saw something gray and formidable in the sky. Sure enough a C-5 Super Galaxy was in the pattern and heading my way. 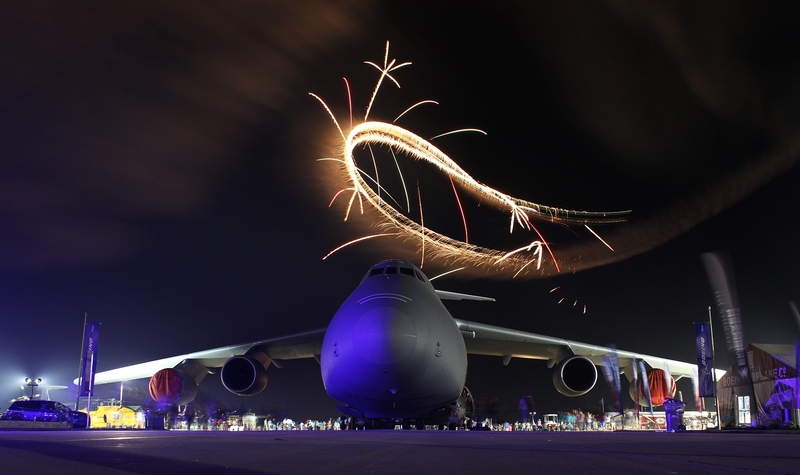 In case you need to be reminded how big the Super Galaxy is, check out the little guy at the nose of the C-5. 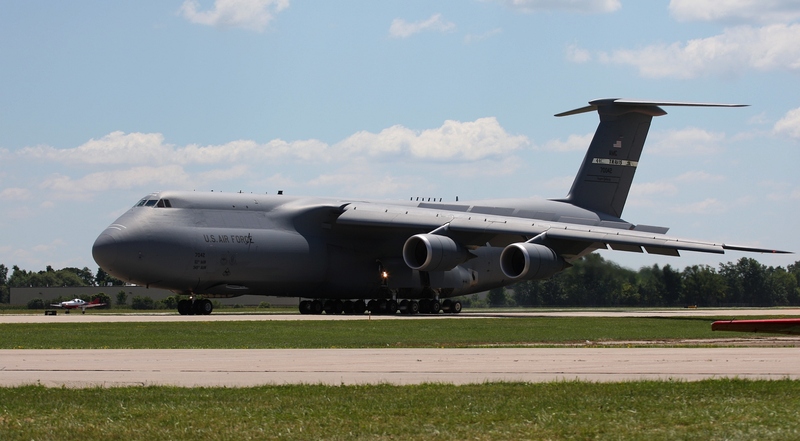 He landed on the parallel runway just before the C-5. I think the C-5 was looking for a snack, saying get in my belly! After meeting up with some old friends I was able to get a super location for the daily airshow. It was beastly hot and humid so I took cover from the sun under the wing of a P-51 Mustang! 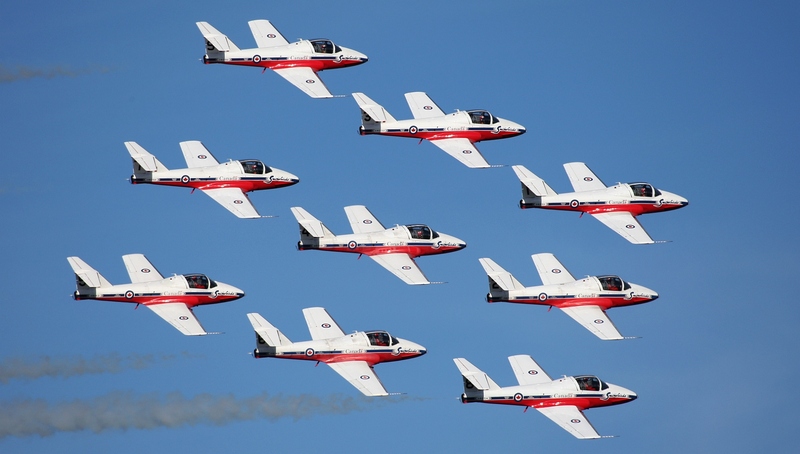 There were lots of mass flyovers and we were treated to several fly-overs of T-34 and T28’s. 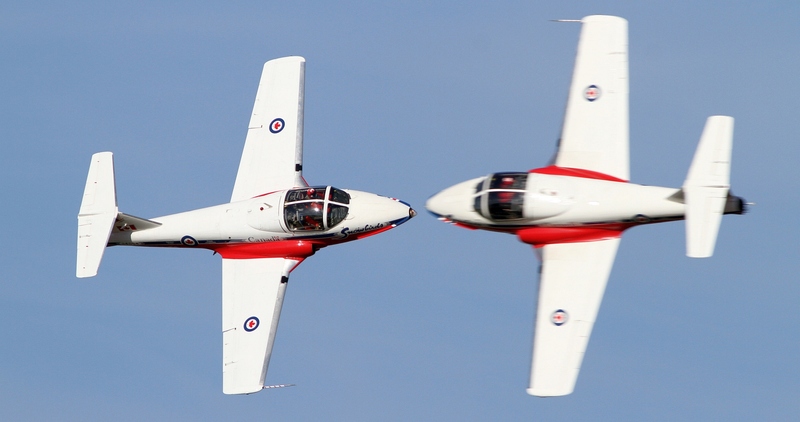 The sound of 15+ T-28’s was music to my ears. 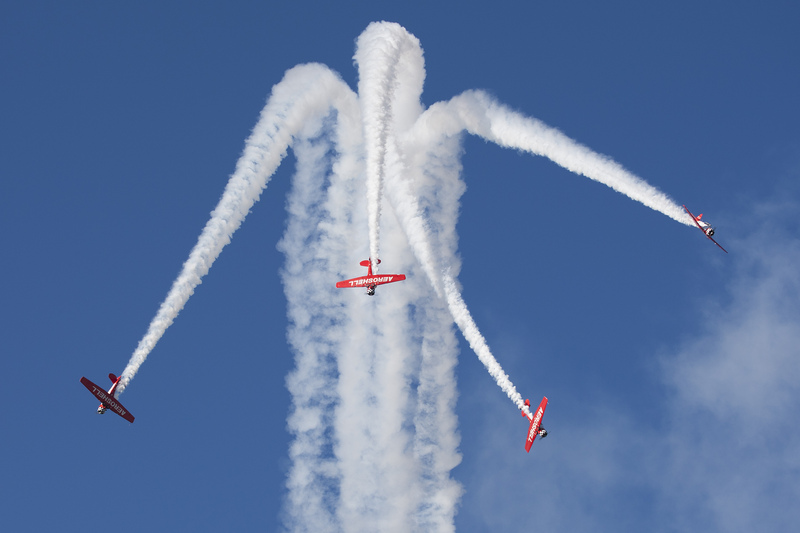 The aerobatic portion of the show was very diverse, it ranged from Matt Youngin’s Beech 18 to the new Sonex jet. 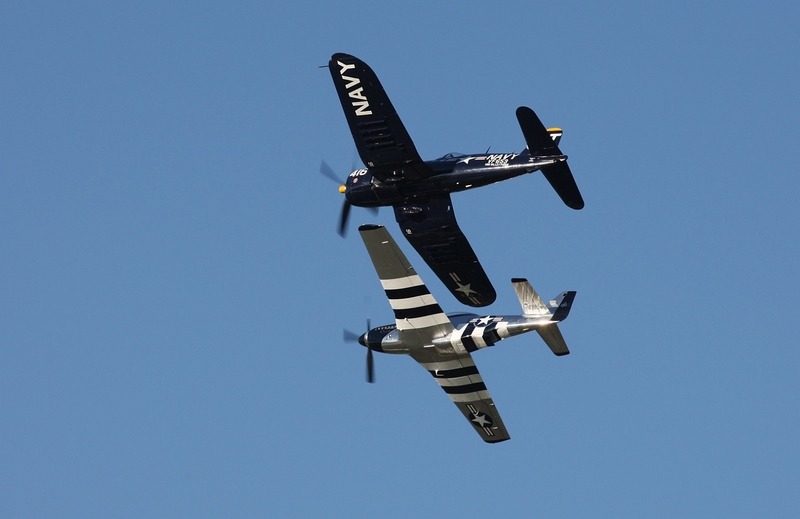 The warbirds took to the skies and we had an excellent performance from Jim and Scooter with their Corsair and Mustang. I noticed the heat was beginning to take its toll on me, as I was a milli-second to slow on this pass. 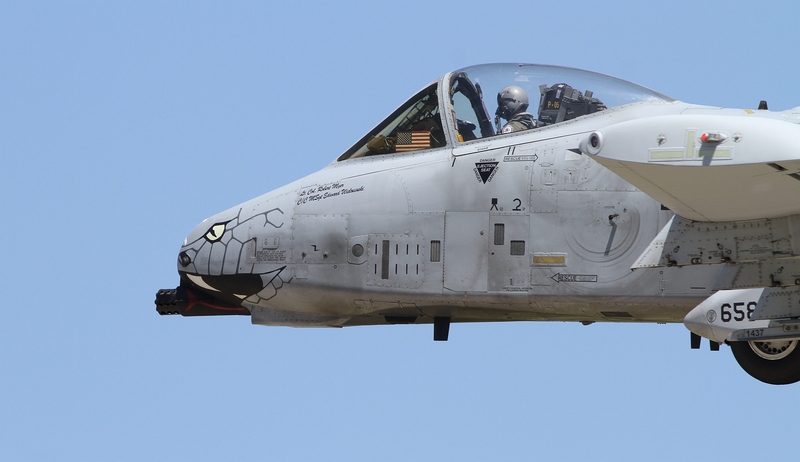 After rehydrating I felt I was ready for the A-10 demo. 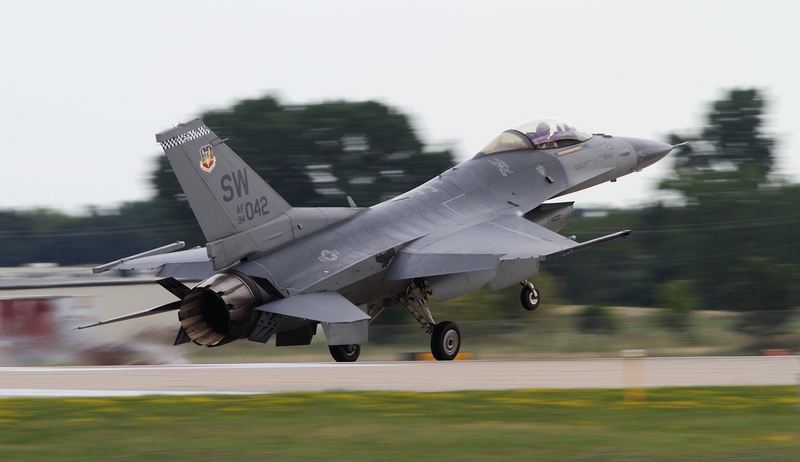 The airmen from 122nd Fighter Wing, Indiana ANG put on a good demonstration for us. 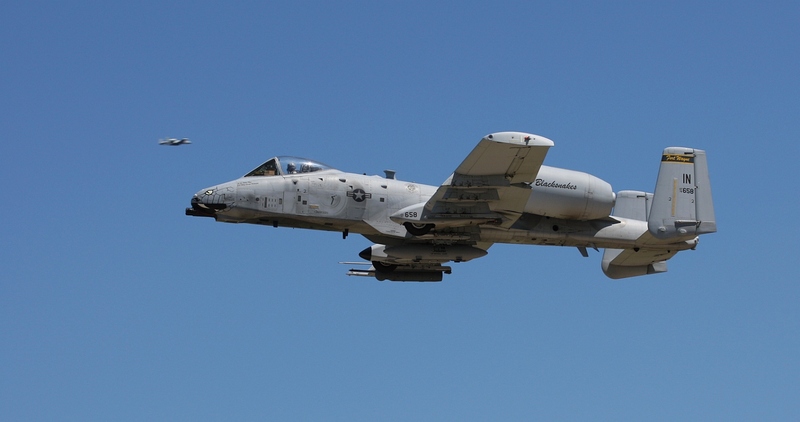 All we missed was a little brrrrrt! 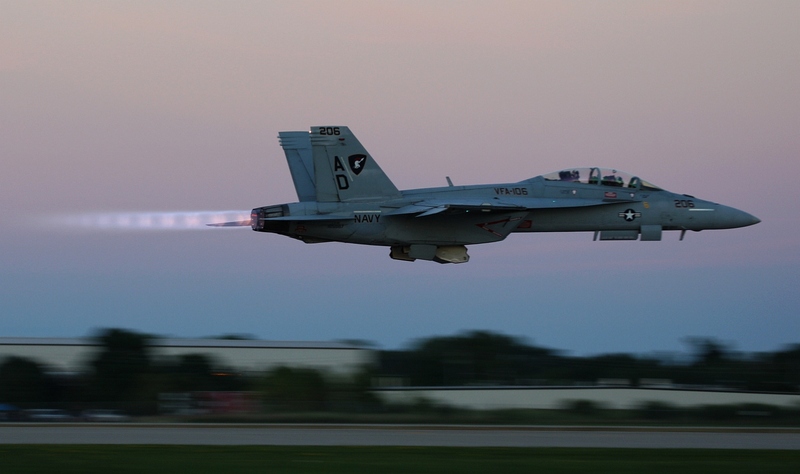 You know it was a great airshow when you get a heritage pass in late evening light. Since the weather for the next few days looked cloudy, I played it safe with my camera setting and got a few goods shots before slowing the shutter speed way down in search of some serious prop blur. As always, just because the show is over, does not mean the photo opportunities are done. My friends at FedEx brought a brand new Boeing 767-300F in from the factory! 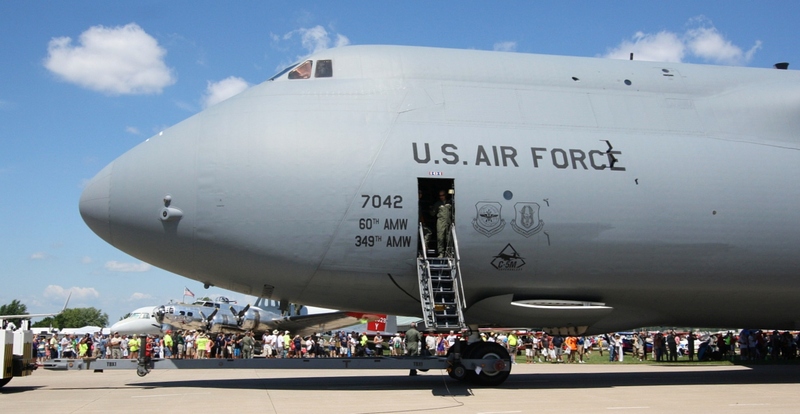 One of the great things about Oshkosh is that you can get close. Luckily I had my 10-22mm lens with me and captured a few detail images. This gleaming beauty would soon be at center stage of Boeing Plaza. The morning started with a tour of the 767F that was center stage at Boeing Plaza. I got to speak with the FedEx pilots and SVP, Flight Operations Jim Bowman and Mary Harvey Gurley. Most of the time I am sitting in the back of the Boeing 767 traveling trans-continentally, so to get to see how FedEx manages getting my packages to and fro was a treat. 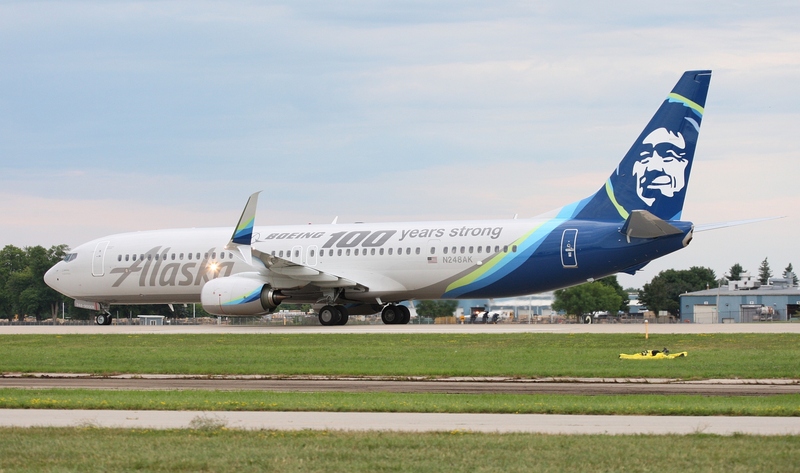 As mentioned this was a brand new aircraft that came straight from Paine Field to Oshkosh. 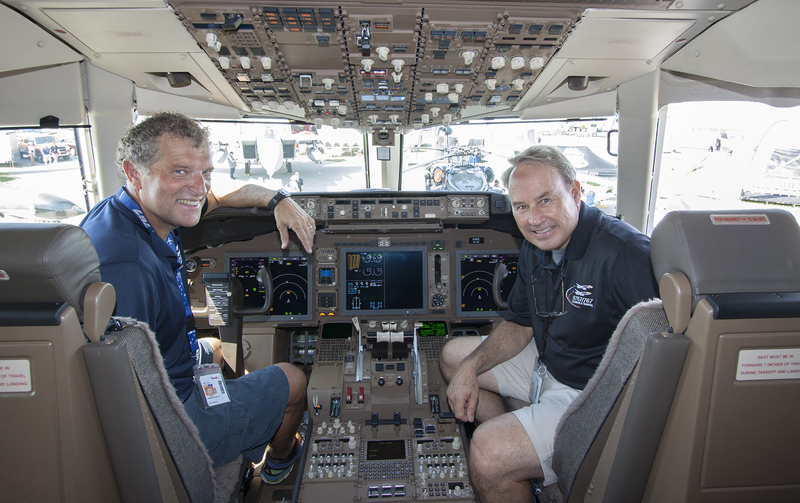 I asked pilot Sonny Beyer what it was like to land a new plane, in daylight, in front of 50,000+ people. Sonny responded with a “no big deal”, silly me I thought there would have been a little more pressure. Jim Bowman mentioned that FedEx does 46% of flying during the day(excluding international), a fact that really surprised me. All the FedEx personnel showing the plane are volunteers and were very proud of their new aircraft. They had In the cargo hold and flight deck open for tours, amid the hot and humid Oshkosh weather. I was able to check out the cargo loading system. 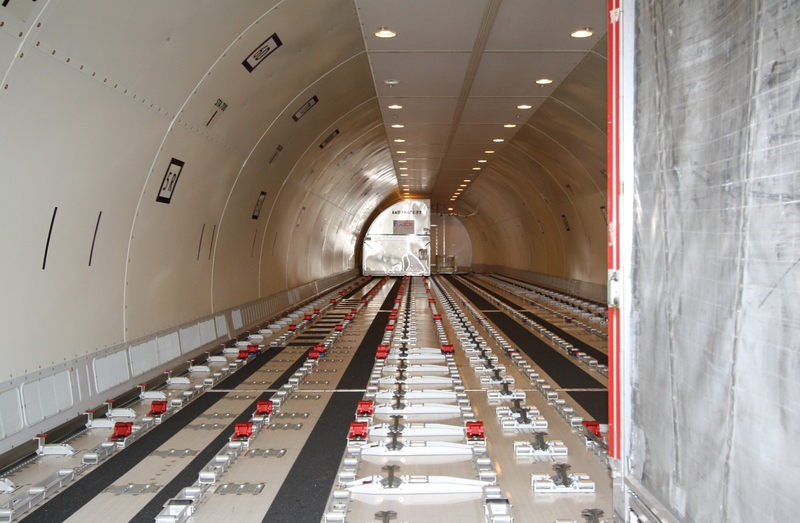 The 767 is loaded with containers which in turn are bulk loaded with the individual customer’s packages, I was cautioned to watch out on the roller deck. Just as they will allow heavy containers to roll with easy they will trip up the non-attentive aviation reporter. As with most consumer cargo aircraft the plane will “bulk out, rather than approach maximum weight”. Jim also mentioned that an auxiliary crew rest (in it’s own self-contained container) could be rolled in and locked in position 1D. 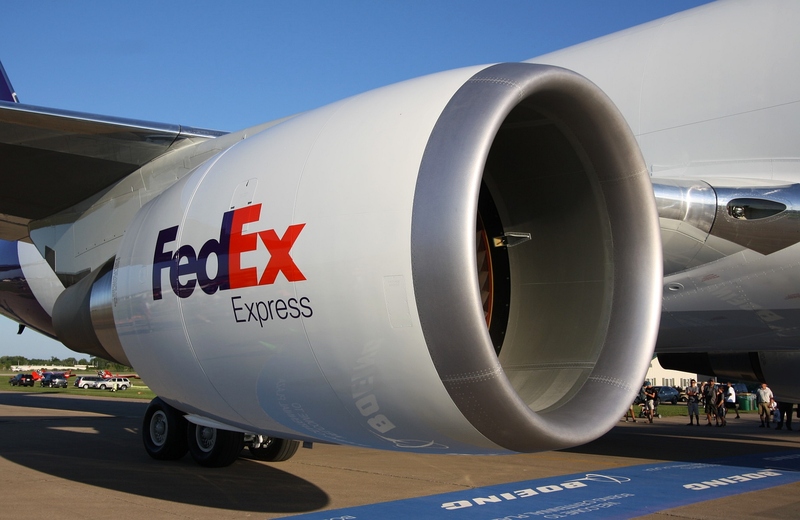 The 767F is part of FedEx’s five year fleet modernization plan, this new 767 will replace some it’s MD10-10’s. 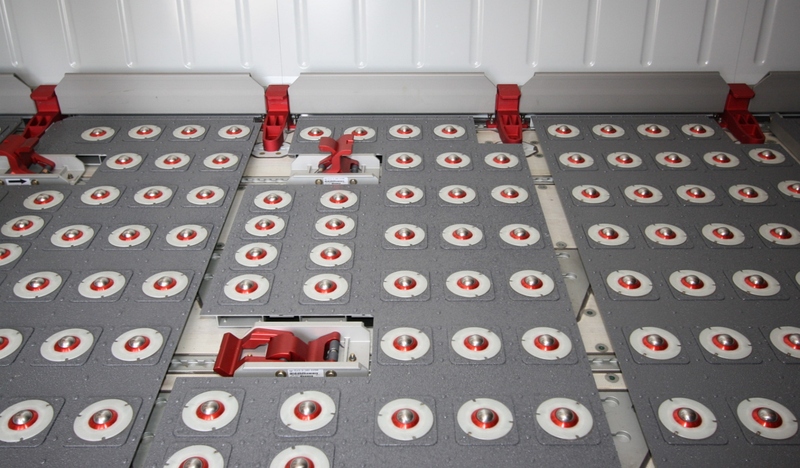 It has almost the same freight capacity and will consume 30% less fuel. 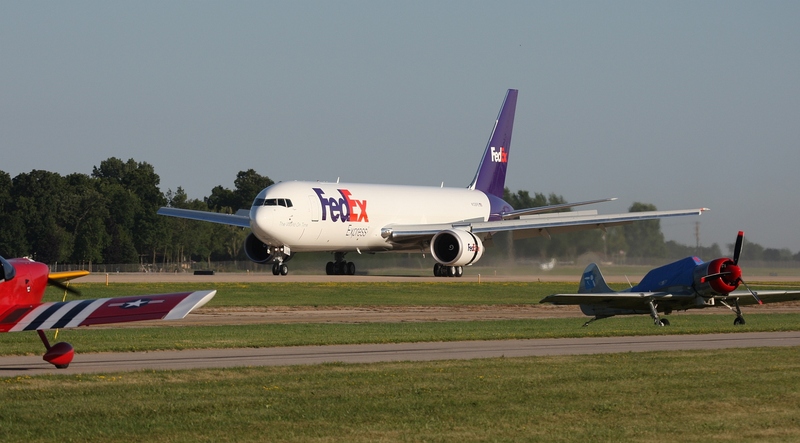 The FedEx fleet of 767F will grow to 100 as new aircraft are delivered from Boeing. In the pointy end of the Boeing 767 this aircraft is pretty much just like any other 767. One thing that was not on the aircraft yet was the HUD EFVS system. FedEx installs this at their facilities. This is the infrared camera system that allows for Category 1 landings down to 1000 feet visibility. The keen eyed spotter knows that there is often a name under the pilot’s window. This particular aircraft is named “Ryan”. Mary informed me that all aircraft are named for employee’s children. Names are selected by random from all the names submitted. 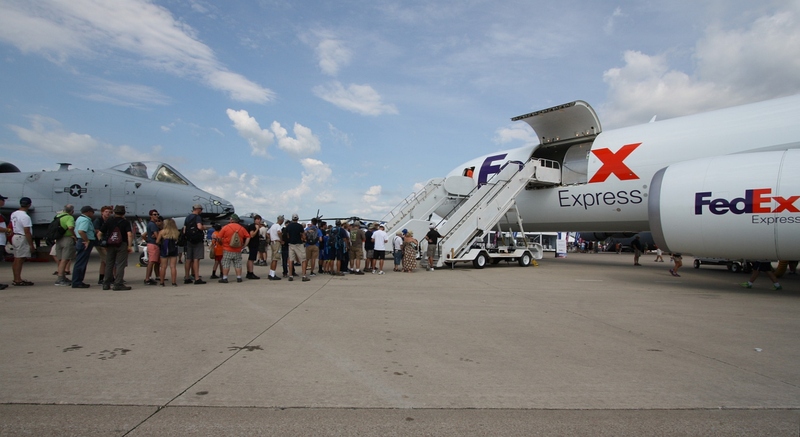 Thanks to FedEx for the access to their newest aircraft and sharing their newest aircraft with all the visitors at AirVenture. 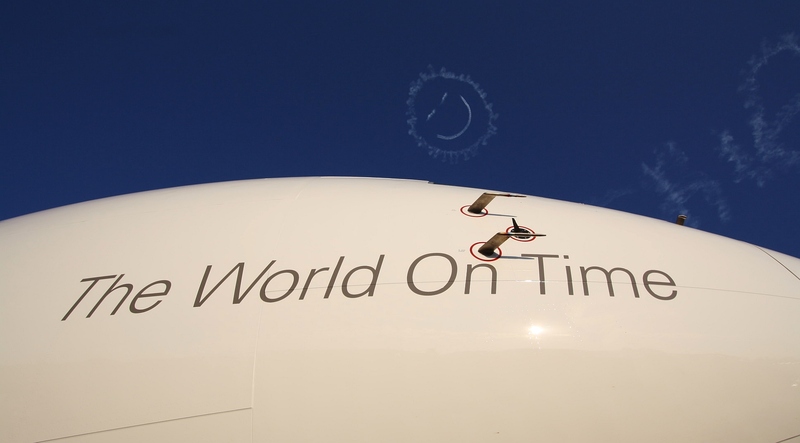 From the long line of people of all ages wanting to look through the plane, there is interest and excitement to see how FedEx delivers “The World On Time”. Another area of interest for me, was aircraft with new engine technology. My focus was on two main aircraft; the Aero Electric Aircraft Corporation Sun Flyer and Airbus E-Fan. Just as electric/hybrid cars are gaining popularity on the roads, interest in alternative energy source aircraft designs is increasing. Airbus brought it’s E-Fan to Oshkosh all the way from Europe. Like most of the specialty aircraft it showed up in a trailer, but I am hopeful that someday these aircraft will fly in also! The E-Fan is their research aircraft that has been used for all electric flight and now as a “hybrid” aircraft. 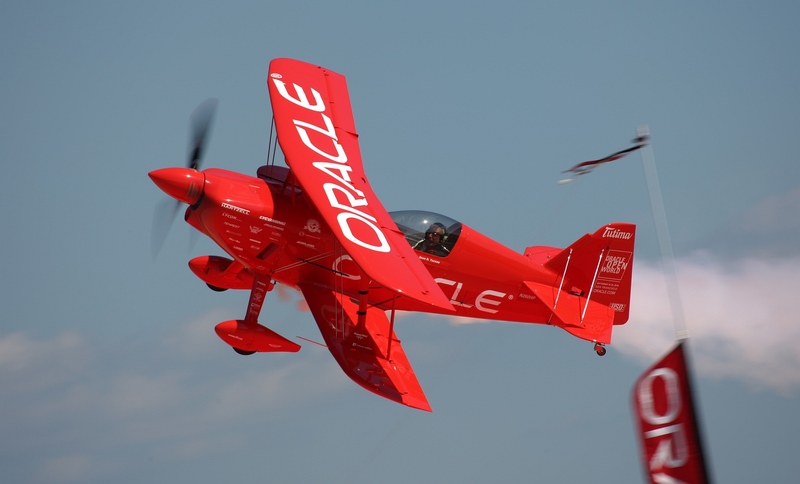 As a test platform the aircraft has evolved. The initial design was a tandem two seat design with batteries in the wings and ducted fans mounted just aft of the wings. 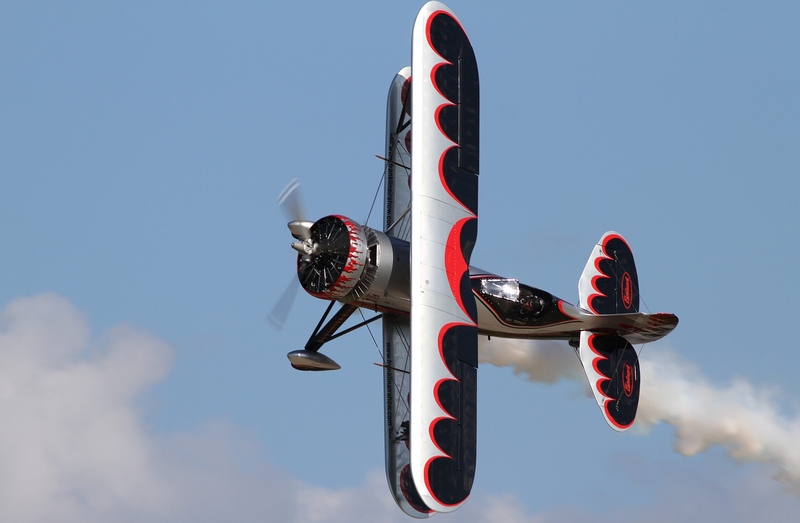 This all electric design flew over the English Channel in 2011. The current design is the E-Fanxxx, this is a unique design. The ducted fan with electric motors and batteries remain, but the aft passenger space has been replaced with “range extender thermal engine”. I spoke with the lead engineer, Didier Esteyne and he said that using the “thermal engine as a generator set” it is the most efficient way to generate the electricity required for level flight and to recharge the batteries. The aircraft uses battery power to taxi and climb out. The thermal engine can then be used to recharge the batteries in flight and give the plane additional range over a single battery charge. The goal is to achieve 3.5 hours of flight time. 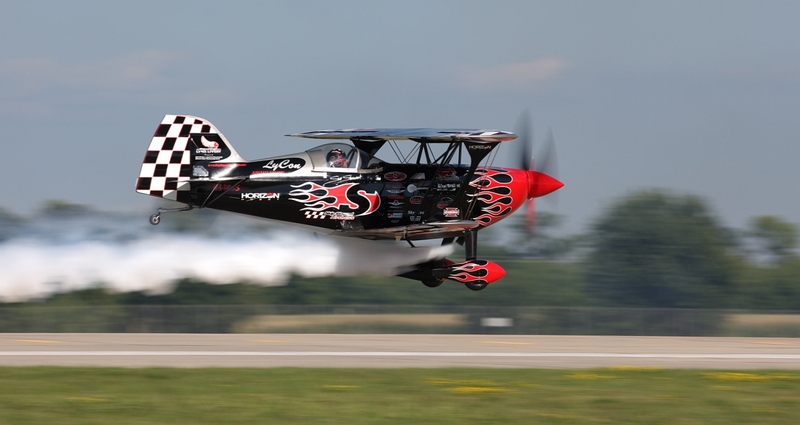 The aircraft uses a lot of carbon fiber in the construction for strength and weight reduction Thrust is from two ducted fans mounted on the rear of the airplane, the electric motors are mounted in the engine nacelle and are rated at 32kW each. The use of the ducted fan also provides a very quiet aircraft. 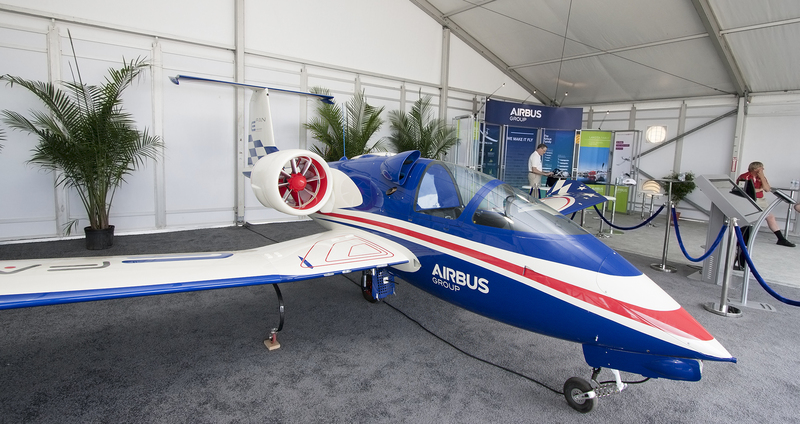 Located only a few steps away from the Airbus tent was Aero Electric Aircraft Corporation with the Sun Flyer. They also had their prototype aircraft on display. The Sun Flyer is being developed as a FAA Part 21 certified aircraft. 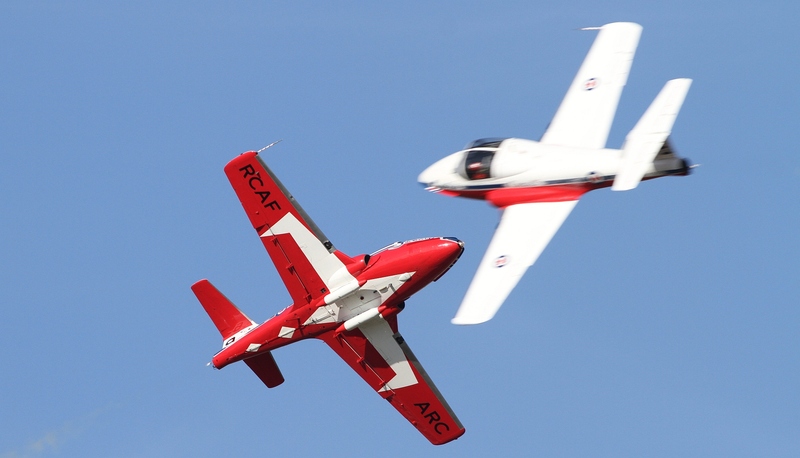 The target market is flight training schools. The aircraft that was on display was the concept aircraft, based on the Arion Lightning. The bulk of the changes on the Sun Flyer prototype are firewall forward. 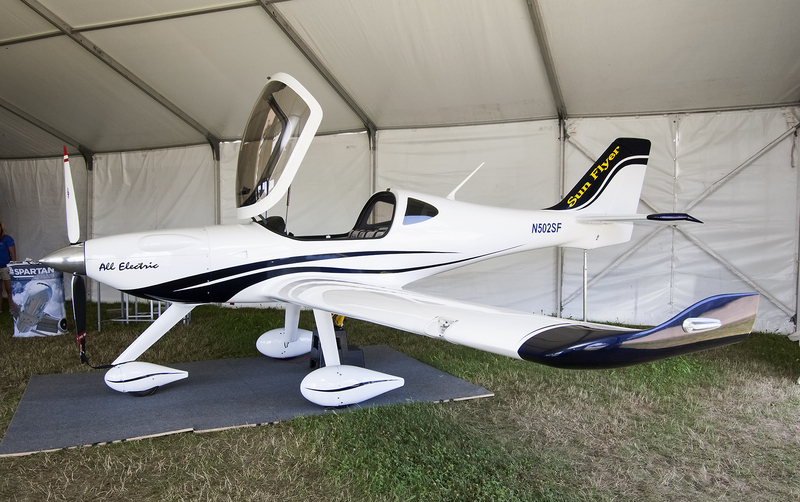 The Arion Lightning is a low wing, fiberglass body, with fixed tricycle landing gear and side-by-side seating. For the Sun Flyer, the conventional engine is replaced with an electric motor. The aircraft is fitted with a special two bladed propellor to take advantage of the characteristics of the electric motor. Since the profile of the electric motor is more sleek than the typical Jabru, the cowlings are specially designed for peak aerodynamic efficiency and packaging of the firewall forward components. I spoke to company CEO George Bye about the Sun Flyer’s target market. 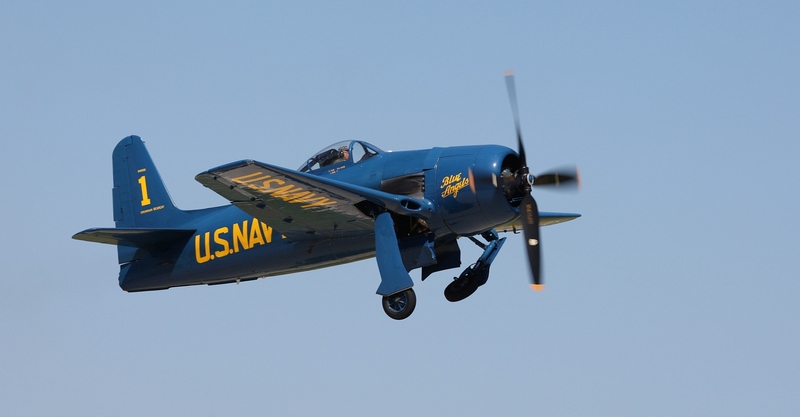 According to the FAA, in 2008 there were 9800 aircraft in the fleet of flight training schools. 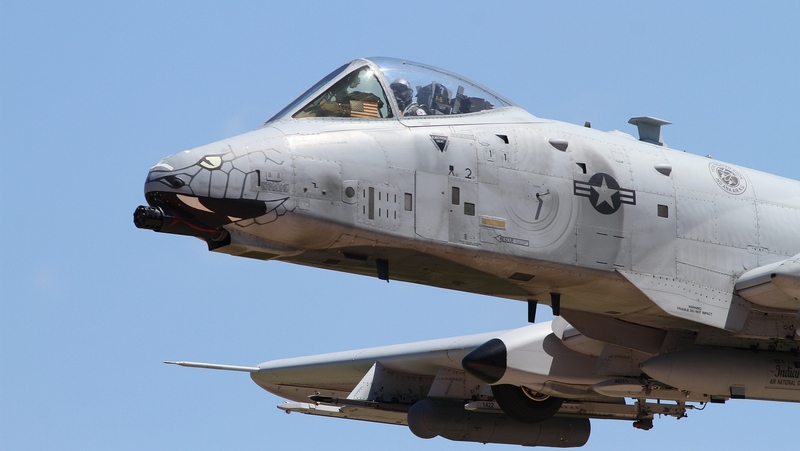 The average age of these aircraft is 45 years old. With the increasing demand for pilots and the age of training fleet it is clear there is a huge opportunity for a new training aircraft! A couple of interesting points in-favor of the Sun Flyer are the acquisition cost and hourly operating costs. The estimated hourly cost for a Cessna 172 is about $107 per hour. With lower inspection, energy and maintenance costs the electric Sun Flyer is estimated to cost only $24 per hour. Mr. Bye indicated that there are challenges, but the company is meeting the challenges of creating something new, going from the known to the unknown. 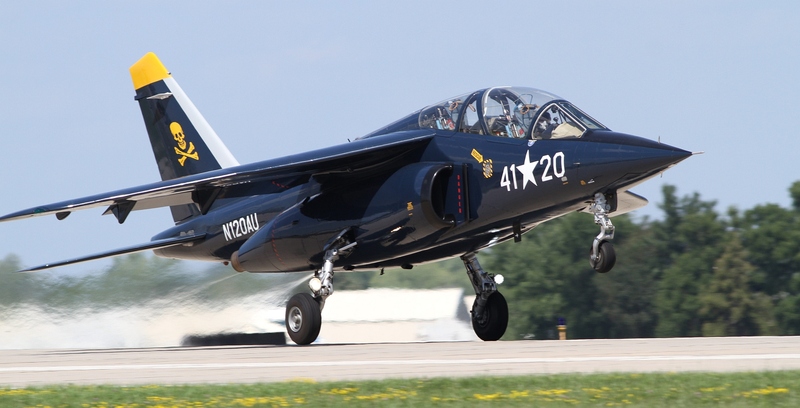 Flight tests with the development aircraft are expected soon and the FAA certification process to require 2 additional aircraft and take approximately 2-3 years. 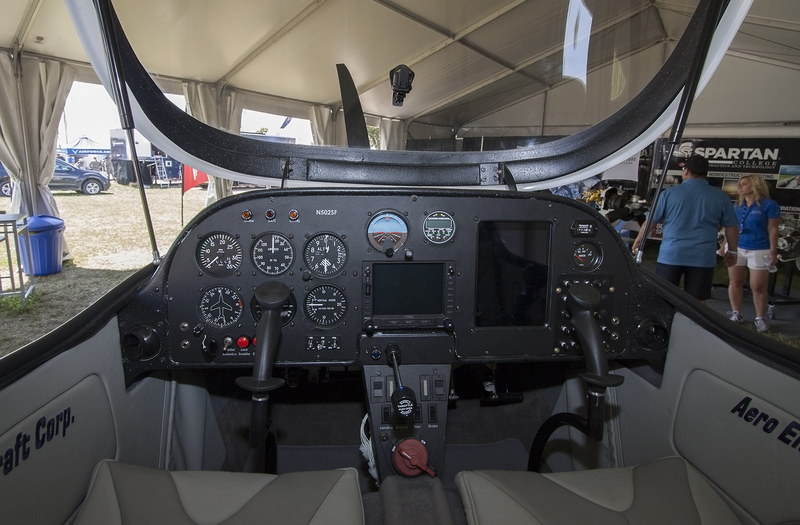 Whether it is commercial aviation or general aviation there is a sweet spot for each airframe. 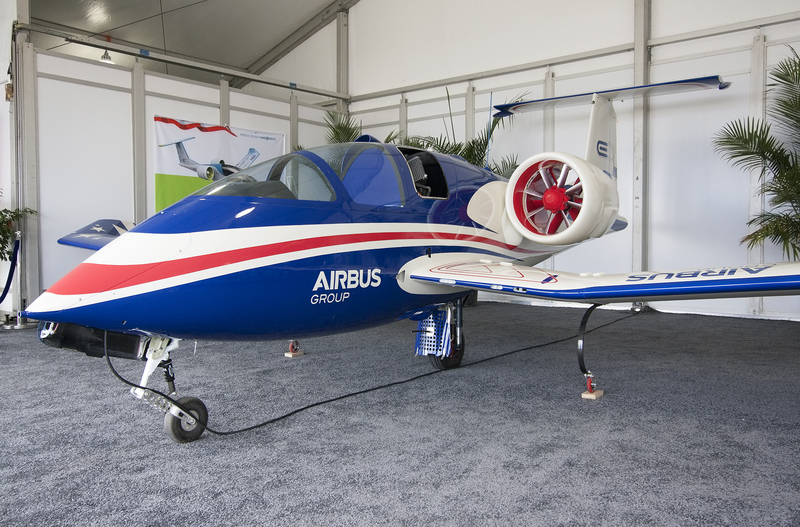 With a target market of the flight school, where the typical mission length is about an hour, this is the perfect mission for the all electric airplane. As battery technology continues to evolve, with increased energy density, the Sun Flyer mission length will increase and make it even more attractive to the general aviation pilot/owner. Mr. Bye indicated that they have an agreement with Spartan College of Aeronautics and Technology and that Spartan College hold deposits for 25 of the first Sun Flyers produced. 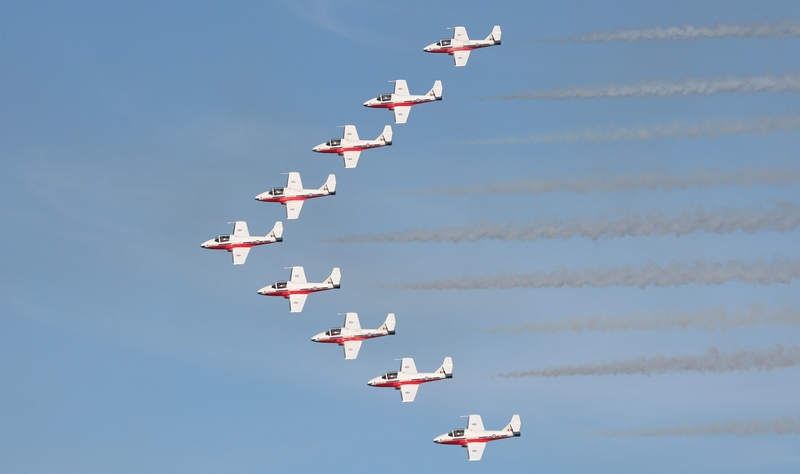 Also announced at AirVenture was additional deposit agreements from the French firm Euralair. I am excited that Aero Electric is pioneering a new concept in aviation and that this will help revitalize a much needed portion of general aviation infrastructure. 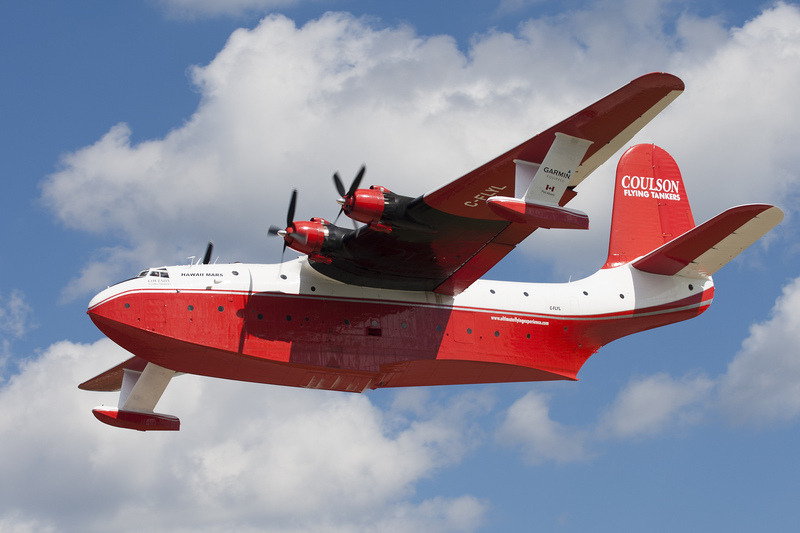 My Thursday was spent hanging out with old friends chasing spending time with the amazing Martin Mars CRM3 of Coulson Tankers. 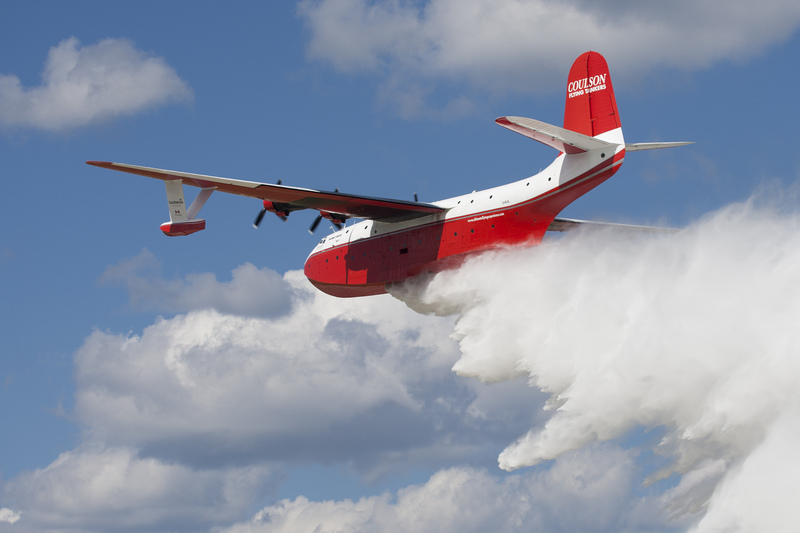 A separate article will give our Aviation Photography Digest readers a stem to stern walk through of the fabulous Hawaii Mars fire bomber. Friday was spent relaxing and making some new friends. Hard to believe I only took 500 that day. 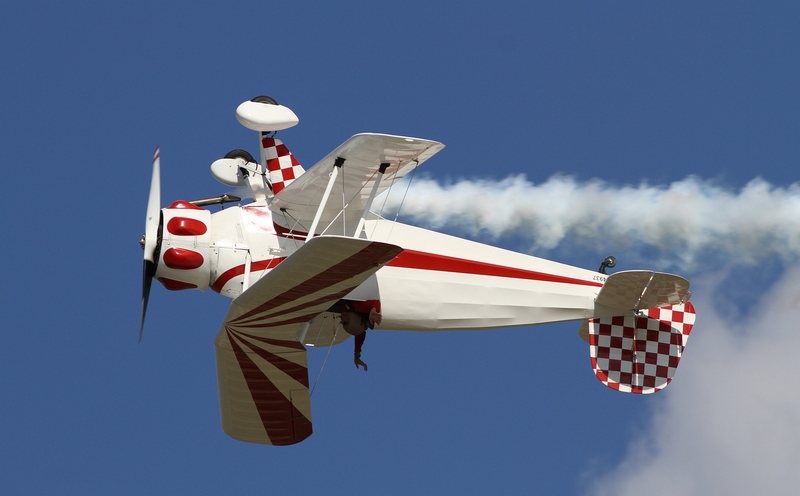 The sunshine returned for the weekend and the crowds turned out for another big airshow. 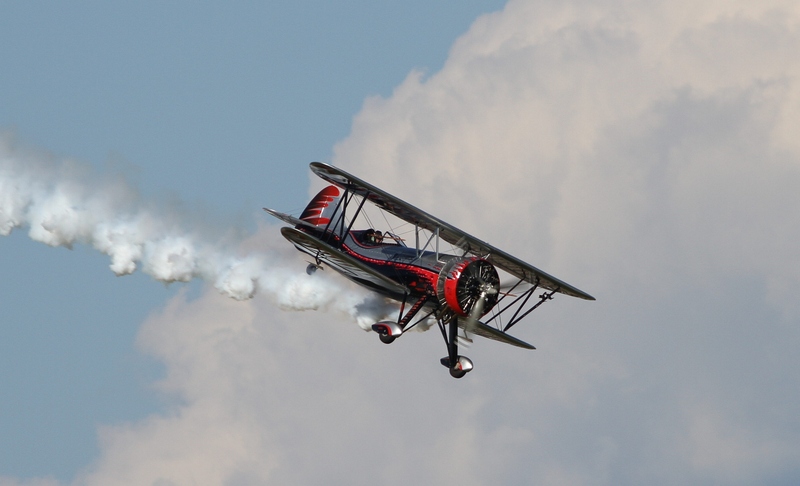 The Saturday airshow was to be another stunner! A packed flight line since it was the weekend and the Snowbirds were on the schedule. At show center we had a unique combination of a Boeing 747-800F and the Dracula Demon-1 biplane! 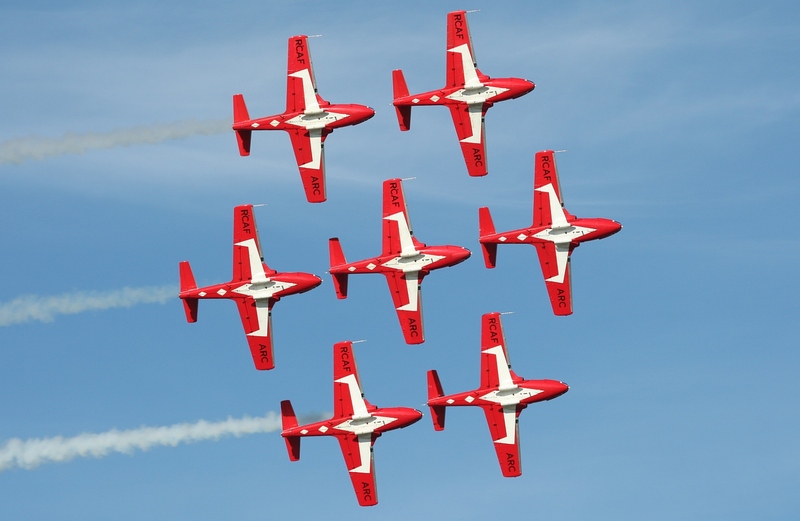 Prior to the Snowbirds we had some great warbirds and aerobatics. 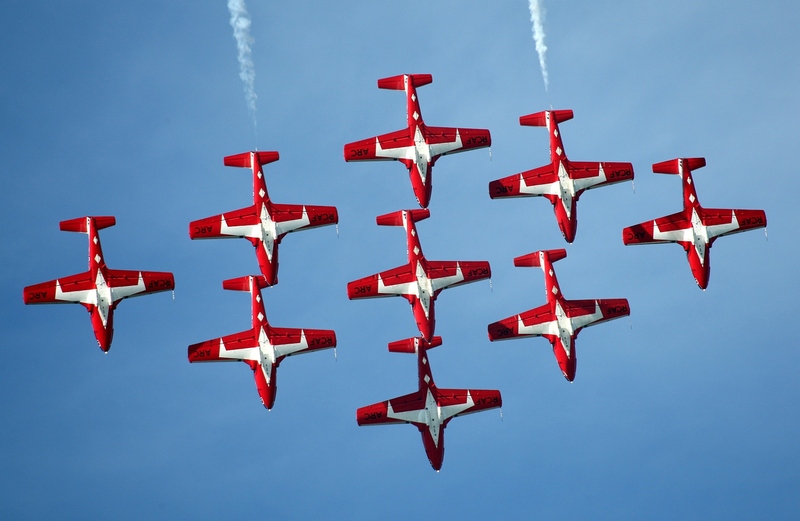 I was excited for the Snowbirds, their show is a flowing graceful, precise show. 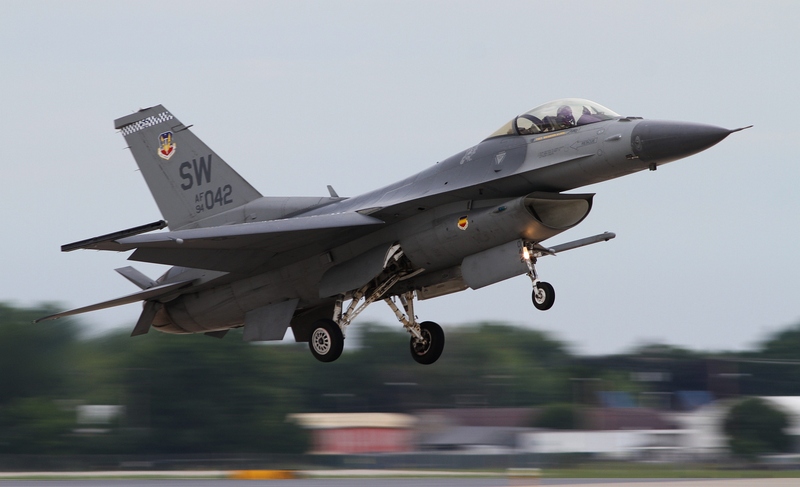 Other jets muscle through the sky and use brute force in their maneuvers. 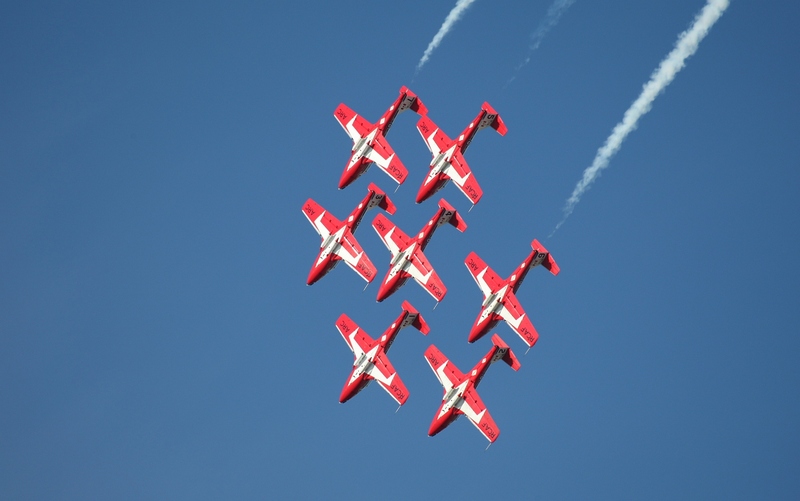 The Snowbirds fly a nine ship ship show and an aircraft with a lot less power. 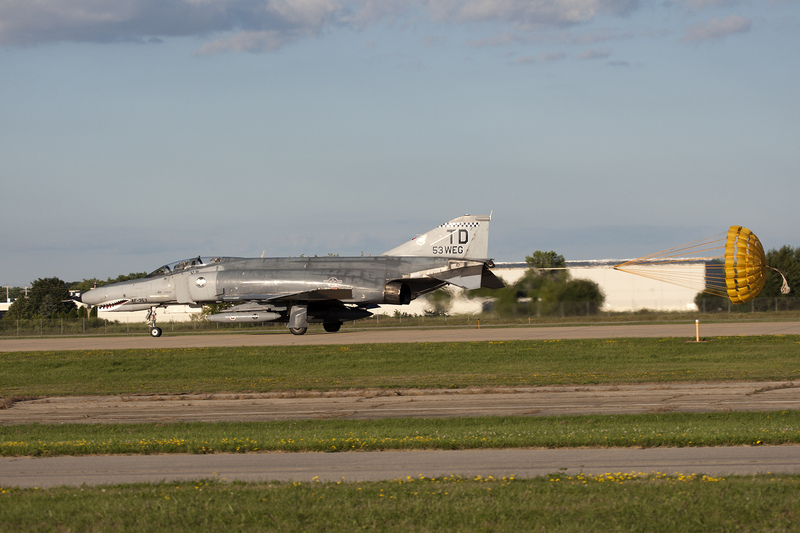 For their first visit back to Oshkosh is 30+ years they excelled. Smooth, precise, crisp and elegant. I had a big smile on my face at the end of their show. In addition to flying nine ships in formation, they had solo passes. Since I saw a practice show the day before and my “mad camera skills”, I was able to pull off a couple of good snapshots of the solo passes. 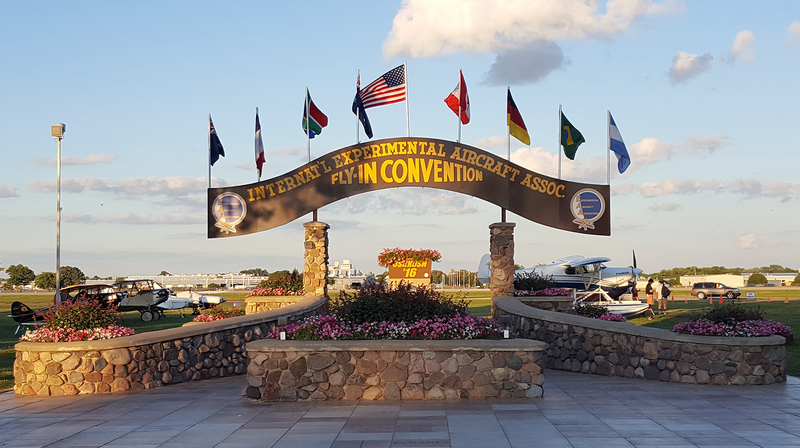 This article only covered a small portion of what EAA AirVenture 2016 was. It is so more than just airplanes. It is a gathering of old friends, it is meeting new friends. It is shared experiences. 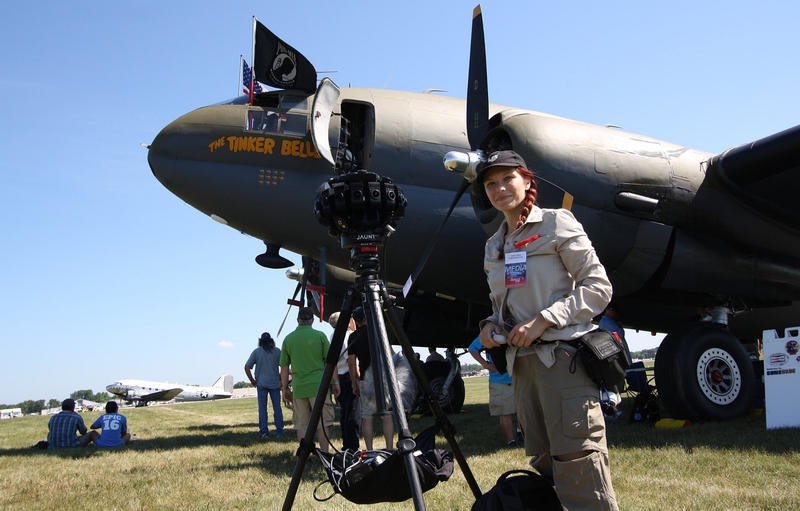 During my time at AirVenture I met people from South Africa, Japan, Australia and all over the United States. I saw old friends, made some new friends and took a couple (thousand) pictures. Aviation brings us together, it binds together people from different backgrounds, interests and lifestyles. We all share a passion for flight. Thank you EAA for enriching my life, enriching my heart and challenging me to be better. My first day back at the office it was hard to adjust and my mind drifted back to Wisconsin. 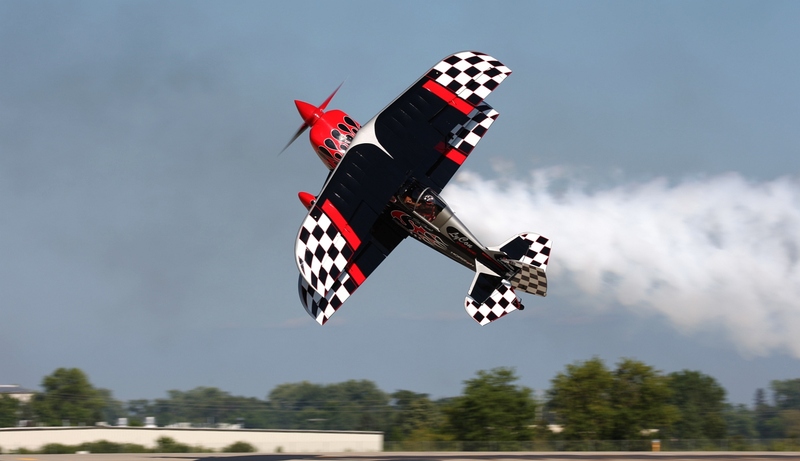 I had a great time at EAA AirVenture 2016 and I am already thinking and planning for AirVenture 2017. 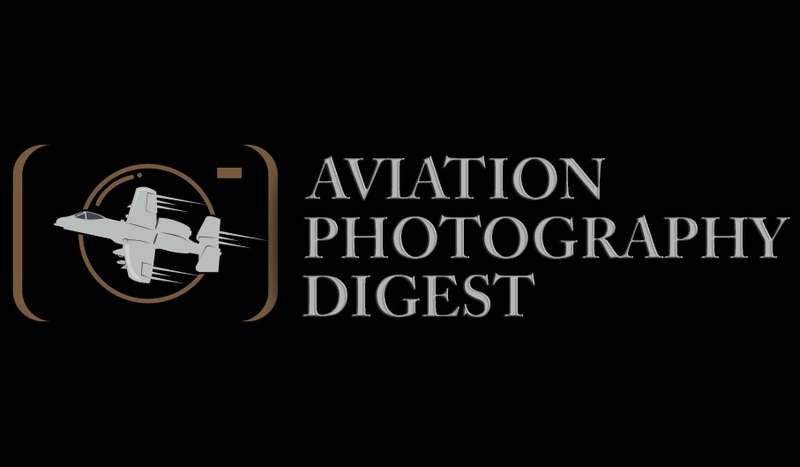 Jeremy D. Dando is an aviation photographer/writer based in Minneapolis, Minnesota. He holds a bachelors degree in Chemical Engineering and works as a Research and Development engineer designing new devices for the treatment of atrial fibrillation. Aviation photography allows him to combine his technical and creative sides to create an image which captures a moment in time and tells a story to the viewer. 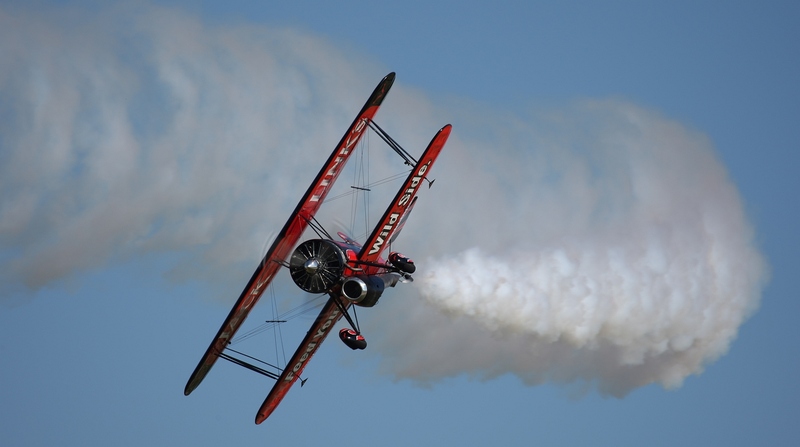 He has travelled worldwide photographing commercial and general aviation aircraft. Jeremy’s love of aviation and travel started early in life with family vacations to Europe and Florida. 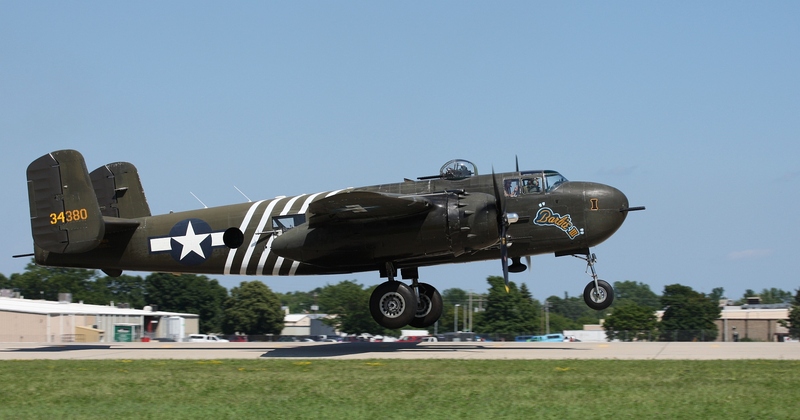 Now Jeremy spends his free time chasing things that fly and working with a local aviation restoration group to return a WWII aircraft back to flight worthy status. Jeremy’s photographic work has been used in corporate publications, magazines, calendars, websites and news articles. Jeremy uses Canon photographic equipment.